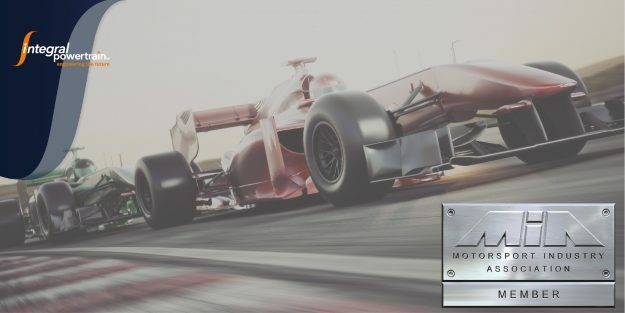 Integral Powertrain Ltd is pleased to announce their Membership to the Motorsport Industry Association (MIA). With a proven track record in Powertrain Engineering and E-Drive Systems and Controls spanning 20 years, Integral Powertrain have been working at the highest echelons of Motorsport with some of the most prestigious brands and racing teams. Initially as a Powertrain Engineering Consultancy, but since 2008 with customer specific electric motors designed, validated and manufactured at it Milton Keynes, Engineering Centre. The company started in 1998 when the current four Directors left Cosworth to set up the company using the vast levels of experience and knowledge gained whist delivering high level powertrain projects for Cosworth’s road engine business. In response to anticipated growth in electric and hybrid propulsion, a dynamic e-Drive Systems group was formed in 2008 and in 2009 the company was awarded the business to design and manufacture a 130kW motor for a prestigious hybrid supercar. The production run of 550 units was successfully completed in 2015. Since then the company has developed many high performance, high efficiency traction motors for the world of motorsport and premium road cars and has the most power dense motor in current market production. MIA members come from the many diverse sectors of motorsport: high performance engineering and tuning companies; race and rally teams; governing bodies; motorsport services; research organisations; race circuits; universities and colleges. The MIA’s aim is to represent all 350 members and endorse the industry’s positive profile. “Integral Powertrain Ltd, and in particular its e-Drive division is intending to leverage its association with the MIA in order to develop our motorsport business further. There is no doubt that the future of motorsport is in electric Powertrain and we are aiming to be the world leading e-Racing powertrain supplier. We are looking forward to the benefits of the association with the MIA and at the same time developing the MIA green credentials.” said Integral Powertrain’s Chief Engineer for Motorsport – Arnaud Martin.